The new Sony Xperia X Compact is available at the price of 449 dollars. It has a big price too, despite its measurements. But, the camera is incredible, especially because it has been fitted into a small body that can fit into almost any pocket. There are doubts that the new Sony Xperia X Compact is large on charm. Unfortunately, for the moment there are no words about this phone coming to Australia. An odd decision for Sony is the exclusion of conveniences found on this phone in other countries. For example, customers in Sony’s home country, Japan, will receive a fingerprint sensor and waterproofing, while buyers in the UK won’t get the waterproofing resistance feature. Moreover, the US clients will get neither of these features. 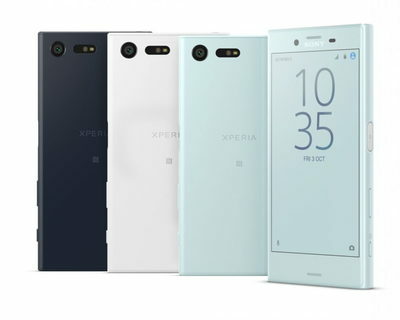 However, this new phone is great and customers who are in search for an Android device with a small-screen should be happy to know that there is a Sony Xperia X Compact on the market that covers their needs. Customers will do right with this new phone, as long as they accept its measurements. On the other side, iPhone fans are having their own mini phone. We are talking about the SE that has the same pricing scale as the new Sony Xperia X Compact, but a much smaller display. Let’s talk a little bit about the design. As we already mentioned, the new Sony Xperia X Compact is smaller than we are accustomed to see these days. So, the first thing that customers will notice at this phone is its measurements. Sony’s new product comes with a 4.6 inches screen, covered with a chunky body and a thick bezel. This phone feels great in hand and people can use it with one hand. This new phone can be either loved or hated. It has a flat look and there is no camera bump on the back. Sony Xperia X Compact comes like an alternative on a market that is dominated by superthin devices built of glass and aluminum. The 720-pixel display found on the Sony Xperia X Compact is really bright and sharp and it handles direct sunlight with brio. As for the battery life, the company claims that this phone can go up to 11 hours and 30 minutes. Some of that longevity comes from the fact that this phone runs Android 6.0.1. But, the phone’s stand out feature is the 23-megapixel camera. This camera has wide lens, which is perfect for landscapes, tight spots and street scenes. But, that is not all, because there is a lot more tech inside. For example, this camera has predictive focus, five-axis stabilization and an infrared sensor.